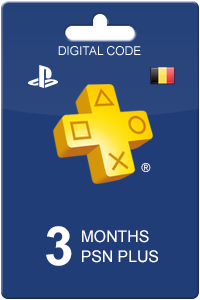 At livecards.co.uk you will find a variety of Playstation Plus cards, so it's up to you to decide how much gaming you want to get in. Besides the Playstation Plus 365 days BE card, we also offer cards with a subscription for 730 days. Ordering the card has been made simple for you! Provide your basic information above along with a payment and the following screen will supply you will a redemption code. Not to worry, the same code will also be emailed to you for your reference. Livecards.co.uk makes buying PS Card 365 days BE as easy as pie! All you need to do is fill in your email address, pick a payment method, complete the payment and voila! The code is yours.